Black. Wide. Strong. Quality Goodyear products in mid price range. 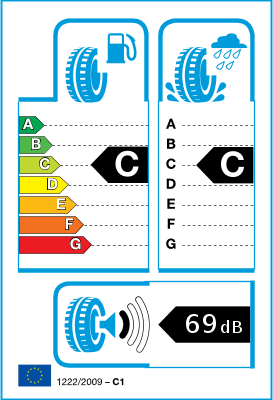 Speed Index: T: this tyre is approved for speeds up to 118 mph/190 km/h allowed. 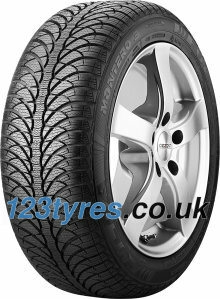 The Kristall Montero 3 is the winter tyre that delivers all around winter performance at an affordable price. Get top-quality performance in all types of winter conditions. The Kristall Montero 3 comfortably handles cold, wet, snow, and ice – and all at an affordable price. Excellent traction on snow. Enjoy reliable winter traction with Fulda’s SnowCatcher Technology. The center grooves form an interlocking network that catches the snow as you drive, helping your tyre keep its grip on snow-covered roads. Optimized for all-round performance. The Kristall Montero 3 features Bubble Blade Technology, which balances the need for a dense blade arrangement that can tackle ice and snow, with a stable tread design that handles well in every type of winter weather. Superb grip at low temperatures. The tyre uses a special polymer that stays flexible at low temperatures, helping to maintain optimal performance in extremely cold conditions.